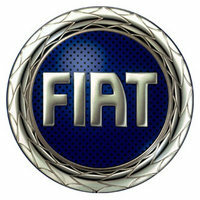 - Fiat 500 global launch further demonstrates continuing success of Microsoft and Fiat's Blue&Me. Following the unveiling of Blue&Me(TM) Nav at the 2007 Geneva Motor Show, Fiat Group Automobiles and Microsoft Corp continue their innovative partnership by offering the award-winning Blue&Me solution for the latest Fiat car model -- the Fiat 500. Today's Turin launch of the 500 will coincide exactly with the 50th anniversary of the original model's launch, which has developed a cult following over the last five decades. The 500 will be made available first in Italy, with further availability in the German and UK markets by the end of 2007. Blue&Me will be available as a standard feature in all top-end Fiat 500 versions and will be offered as an option in the entry-level 500 model at a competitive price. Blue&Me enables the seamless connection and integration of a wide range of mass storage devices and mobile phones. Drivers and passengers can plug-in their digital music players via a USB port and connect their mobile phones wirelessly over Bluetooth. These devices can then be operated by using either the multifunction buttons on the steering wheel or via the driver's voice commands, enabling a hands-free infotainment experience while safely driving. Blue&Me is also a flexible and updatable infotainment solution which therefore easily keeps pace with the latest market innovations. The partnership between Microsoft and Fiat was initiated nearly three years ago and has seen the telematics solution rolled out across the Fiat, Alfa Romeo, Iveco and Lancia ranges. The partnership has also garnered several industry awards for innovation, including the "Excellence in Technology of the Year Award for European Automotive Telematics and Infotainment market" from Frost & Sullivan, the "Telematic Update of Detroit", which recognised Blue&Me as the best telematics solution of the year and the "Eurostars 2006" prize from Automotive News Europe. The Fiat 500 will be the latest model to incorporate this award-winning technology. "Microsoft and Fiat have worked closely to achieve a goal to transform the driving experience through connecting drivers seamlessly and safely to the people, information and audio entertainment they care about while they are on the road," said Carmelo Morgano, manager of the Microsoft Automotive Business Unit, Europe. 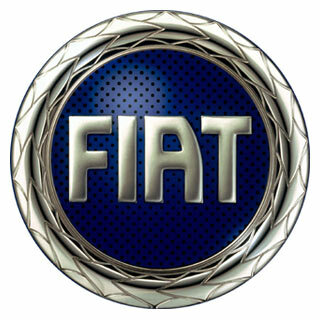 "With the 500, Fiat is further demonstrating its hallmark combination of innovation and style. Microsoft will continue to deliver and further develop innovative technology such as Blue&Me, which guarantees an outstanding combination of intuitive, hands-free navigation, communications and entertainment features." Giuseppe Bonollo, vice president of Product Portfolio Management at Fiat, said, "Following our launches of the Grande Punto and Bravo, Blue&Me has been a critical component in delivering competitive advantage and building upon our strengths. Nearly three years after we launched Blue&Me globally, it still enjoys a significant competitive advantage, both in terms of product offerings and pricing. Blue&Me remains the most cost-effective and adaptable in-car telematic system ever made. The launch of the Fiat 500 will be another chapter in our successful partnership with Microsoft."